Typically when we talk about NASA and rovers in the same sentence, were talking about rovers that are on the surface of other planets in our solar system. However, NASA is also testing a rover that is designed to explore incredibly harsh and cold polar regions of our own planet. NASA is currently testing a rover in Greenland called GROVER. GROVER was tested in Greenland between May 6 and June 8 to determine if it could withstand harsh weather. 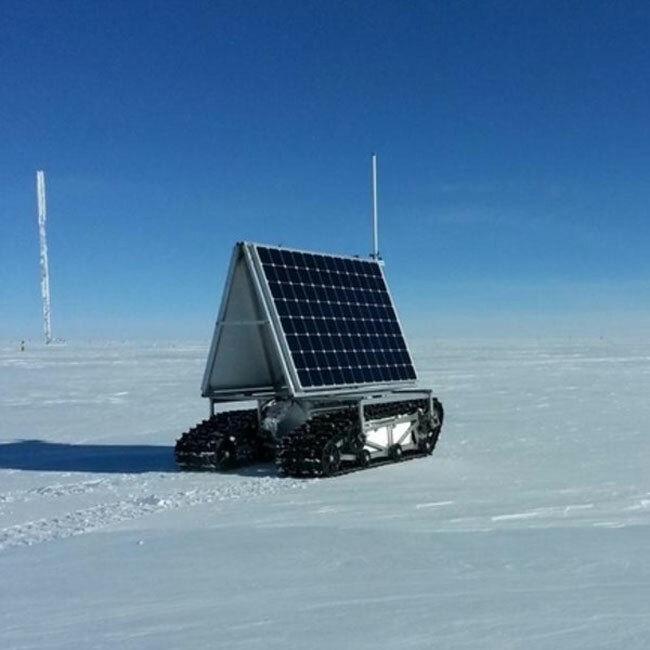 The testing was the robot’s first experience in harsh polar weather conditions. The rover received and executed commands via an iridium satellite connection. GROVER was designed by students during engineering training program in 2010 and 2011. The rover is designed to analyze layers of ice and snow. The test was successful in the robot was able to move to locations programmed by operators and received via its satellite connection. However, the rover did run into some issues such as reboots and getting stuck in snow. GROVER will allow exploration and scientific studies to be performed in harsh conditions such as those existing Greenland where it’s difficult for humans to survive and work.